Critical Thinker had the most liked content! 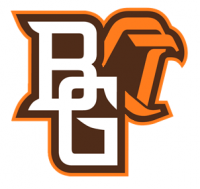 Bowling Green's would look a lot better with different logos. You should use the primary logo or a script Bowling Green on the front, and anything but the interlocking BG on the sides. I'd also rather see a total brown out for the road: brown helmet, brown sweater, brown pants, brown socks. As for the Nike debate, Bowling Green is a Nike school. Ferris is Under Armor, so I'm assuming they wouldn't wear Nike for hockey. I'm not sure about the rest. The blue jersey would look better with orange shoulders. The white jersey looks excellent. OK, how can you - an Ohio State fan - say in good faith that college football is more fun when Michigan is good? My friend who's an Ohio State fan said the same thing the other day; it makes the big game at the end of the year more interesting when both teams are good, especially the year they were ranked #1 and #2 in the country, and the game was won by a field goal. Well, in that case, MLB teams should have 162 unis. The Tigers should have about 180 when you factor in October. Absolutely not. But I agree with 29texan on the last one. I always liked that look! They should go back to it, like Dave Logan here. My preference would be white pants at home and orange on the road, with no alternates. The deed is done: Nike has ruined the Browns. In April of 2015 we shall learn of the extent of the damage. NIU's all-white Storm Trooper set is so boring. They need to go with a Darth Vader style. I think they have one of the best logos; I wished they put this on the helmets: Right now they either use just the NIU or just the huskie. The black stripes and facemask ruined it for me. It clashed with the red and white jersey/pants badly, in my opinion. Why is the running QB so popular? Rich Rod's strategy (which Hoke has adopted) was to take the fastest guy he could buy (or "recruit" as some call it) and throw him in at QB. This QB would then lob up every pass and make his receivers go up and steal the ball from the defensive backs. This strategy worked fine against Eastern Michigan and Purdue, but once they started playing decent teams, it became painfully obvious to the Michigan faithful that the guy they trust to throw the ball should posses the ability to throw the ball. Combine that with Rich Rod's strategy of using a coin toss to determine whether the glee club or chess team should suit up as his defense, and he was driven out of town as if Henry Ford set up shop in Detroit specifically to supply nearby Ann Arbor. Hoke, now in a similar position, is such a lock to be fired at the end of the season, his lame "duck" status has made him the leading candidate to coach the District 5 pee-wee hockey team in St. Paul, Minnesota. Running QBs can work, but they still need to be able to actually, you know, throw the ball. Turning a traditional smashmouth power-running team into a full-fledged spread offense in one summer isn't effective, either, and Michigan looks like they're still adjusting from Lloyd Carr's philosophies. I was at the game- those helmets looked awful. The jersey/pants looked great, but the helmet couldn't quite decide if it wanted to be a throwback or modern. 48 potential combinations for 12-14 games in a season?!? Why?!? What did you used to think about logos? I always thought it was a candlestick. Add me to that club...and the worst part was that Indiana was one of the teams I rooted for as a kid! I thought it was a cactus.